Hey everyone, it has been awhile since I’ve had a chance to update the site so, I thought I better do it now before I get too busy again. First, a general company update: DreamStalker Films is now a two camera film company! We now have two Canon GL2’s. The nice thing about this is we can record multiple angles (like close ups on two actors) at the same time. Hopefully, after we have a second tripod this will further help us cut down production time. It has already saved us some setup time and allowed us to quickly go from a tripod to a glidecam shot. Now, onto the updating on our short films. Has everyone taken a few minutes to watch our newest completed short, “Laptops’ Revenge”? If not, now is a good time as I have gone back and corrected some of the issues of the last version to create my director’s cut. Also, at several suggestions, I have created a brand new alternate version of the film, with audible voices for the laptops. Be sure to check out both and let us know which version you prefer (so we know which one to send out for competitions). Vote for your favorite by either sending an email to dreamstalkerfilms@gmail.com with either “DIRECTOR “or “VOICE ” in the subject line or giving a thumbs up to the one you like on YouTube. 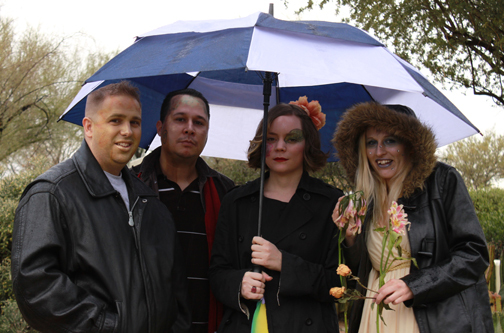 Our other short film in production is a music video for the song “Who Are You(Spooky)” by our friends, Amoric. I have just completed a very loose cut of the video and will be doing a final edit once Amoric has the newest recorded version of the song all ready to go. Shannon Griffith in the Amoric video "Who Are You (Spooky)"
Two shorts shot on film nearly a decade ago are still being worked on. The fanfilm, “Fall of the Sith,” is slowly acquiring finished lightsaber f/x, while sound effects are being done for “Schoolyard Ninjas” (both shorts were written and directed by Jay Montoya). Meanwhile, since my last update, another two days of shooting on SW3 have been completed. With this, we have added a new set for the film that we should be finishing up with at our next shoot (in November, I hope). We also added a new castmember, our friend Kane Black. 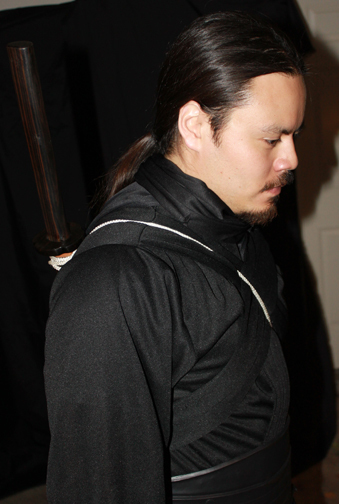 Kane is a local filmmaker and actor and we are happy he agreed to join DSF for our final fanfilm. Going forward, the bulk of the rest of Slayer Wars 3 will be filmed over the next year at our new place starting sometime after the new year. Additionally, we still have two more deadlined short films to complete before year’s end (one with a one week deadline, one with one weekend). If you are interested in being in or helping with any of these projects, please contact us. Also if you or anyone you know is looking for post production film experience (especially in visual effects but also in editing or sound) and especially if they have experience, please contact us. We are in need of those that can do visual effects and cgi. This is a good opportunity for anyone going to school looking for work experience to add to their resume. That’s all for now, expect another update sometime in January. Welcome back fans! It’s been quite awhile since I’ve had a chance to update the site so there’s a lot to go over. 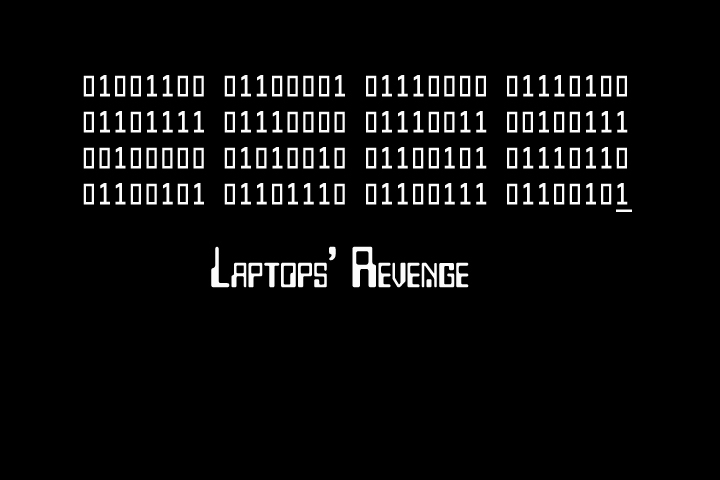 First, I am proud to announce our second completed short film of 2010, “Laptops’ Revenge” is now live! This project has pretty much consumed every waking moment (not already consumed by my day job) for the last couple of weeks. It was a difficult pre-production and the most complicated post-production I have ever had to do on a deadline. So thanks to everyone for their patience on this, and thanks especially to the entire cast and crew that made the actually shooting of the film fast and painless. Watch the video below and check out the full page for the film here. Second, I’d like to update everyone on the Slayer Wars 3. In June we shot the last external day sequence for the film and the last night of several that it took to complete the Zombie Onslaught of the VSJ HQ sequence. 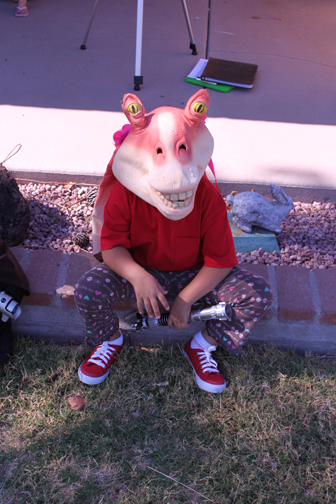 I’d like to thank everyone for both shoots, but especially for coming out and shooting in the very, very hot day (especially little Beverlee for enduring the heat under the dreaded Jar Jar mask for much of that time). Completion of these shoots marked passing the halfway point in the shooting of the entire film. 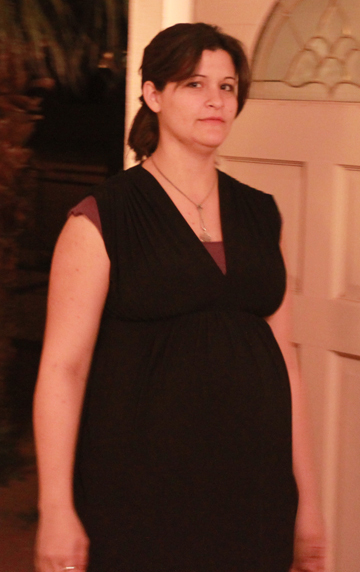 We have since been on hiatus on this project for two reasons. 1) To give us time to complete some quick short films before the end of the year. 2) To allow the hot Phoenix summer to pass the hottest months. 3) Finally, to give us some time to figure out where our sets will be for the last half of the production schedule (we’re still working on this, but I think we have some good ideas). We should be going back to Slayer Wars 3 hopefully by mid-September to complete at least one of the sets that takes up the bulk of what is left. Additionally, I have continued to work with local band, 49 ‘Til Midnight. I recently videoed 3 songs for them at their studio in Tempe (You can see the A Camera footage on our YouTube page). I recorded A and B Camera footage and hope to have those all edited together to make a full video for each of the three songs soon. Keep checking back and become a fan on Facebook for all the most up to date info from DreamStalker Films! Update: 49 ‘Til Midnight’s 6/5/10 Whole Performance Now Available Here! 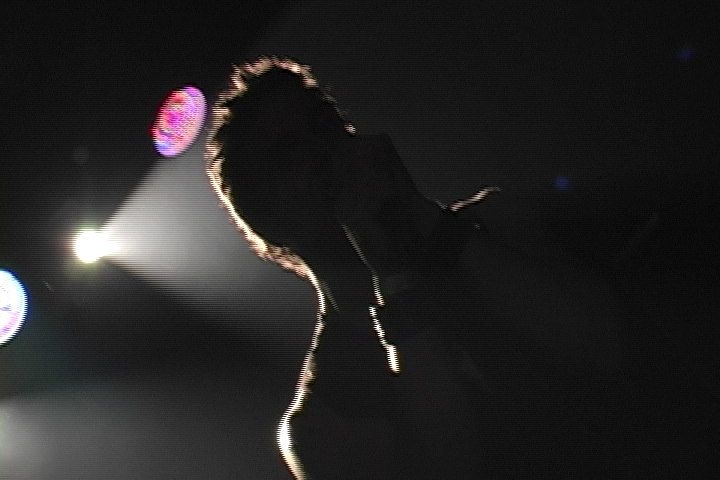 I completed all of the editing on the 6/5/10 gig in the last couple of days. All of the individual original songs (10 in total) by the band are now posted here on dreamstalkerfilms.com and on YouTube. Click here to go to the 49 ‘Til Midnight page and see them all! In other, music related news… DSF has just begun pre-production on a video for our long time friends, Amoric. More details to come as we move into production. Click here to check out Amoric’s site. Welcome, DreamStalker Films fans! We have a brand new section on the site for Music Videos/Performances. The section has been set up to showcase local bands and composer’s works filmed by DSF. We’ll be adding music videos that we will be producing for artist Scott Kos, composer of most of the DreamStalker Films. Now, however, we are proud to announce live performances by local AZ band, 49 ‘Til Midnight, available on our website. 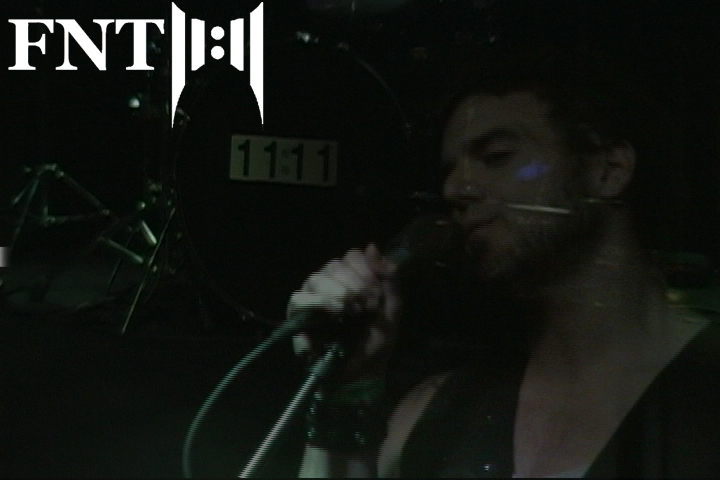 The first 3 songs from their 6/5/10 show are now live, check out the new 49 ‘Til Midnight page on DreamStalker Films here and be sure to check back on the site soon for more songs from this show! 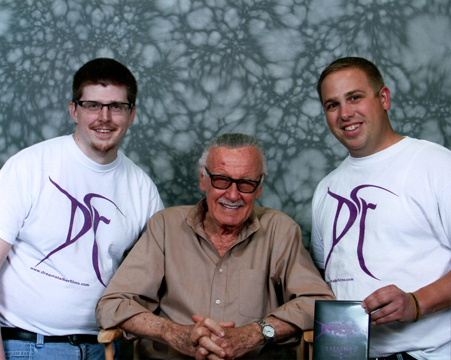 Comicon Update! Specials for the Final day of PCC! 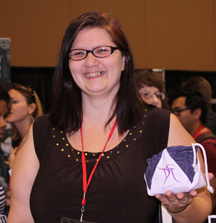 OK everyone who’s heard about us or talked to us at the Comicon and decided not to pick up any DreamStalker Films items, be sure to come by tomorrow for the final day at the Con! Say the exclusive website passcode: “Fifty-Seven” and get a T-Shirt for only $10. 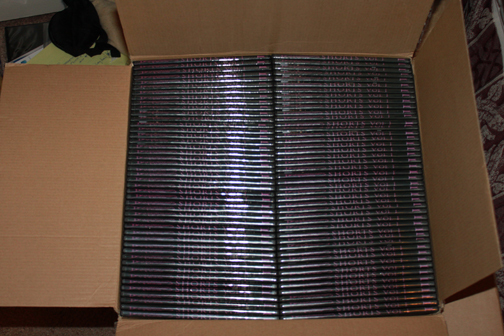 Say the exclusive website pass phrase: “Remo” and get 2 decals or 2 DVDs (or one of each) for the price of one! 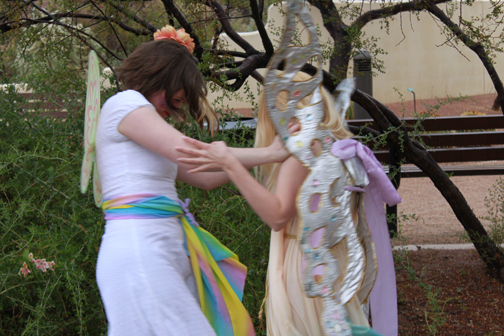 Phoenix Comicon 2010 – Final Pre-Con Update! Greetings DreamStalker Films fans! The Phoenix Comicon starts tomorrow night! Derek and/or I will be at the DreamStalker Films table T120 for the entire event along with actresses Shannon Griffith and Alanta Noel (and perhaps a few other actors from DreamStalker Films). We will be showing a DVD Reel with all of the completed DSF projects from “Slayer Wars 1″ through “The Family That Decays Together…” along with some behind the scenes videos and a sneak peak at upcoming films. 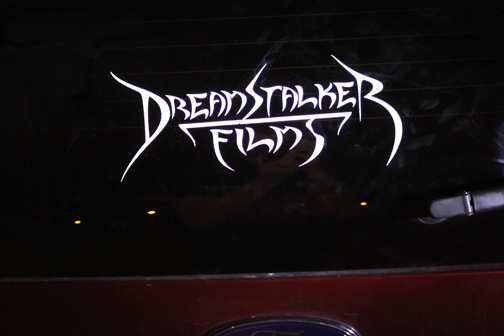 As I reported before, we will be selling DreamStalker Films Shorts Vol 1 DVDs, T-Shirts, and Car Decals. Come by and pick something up and sign up for a mailing list. Additionally, our newest film will premiere on Friday as part of the Film Festival, so be sure not to miss it for the first time on the big screen! After you stop by the DreamStalker Films table be sure to wonder over to table T70 and check out Paleocomics by artist Zach Reddy. 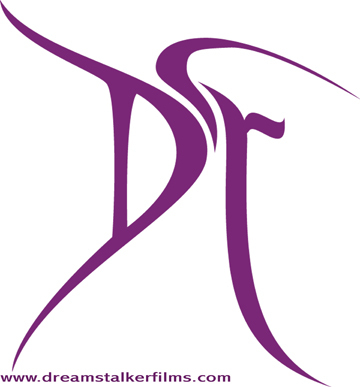 Zach designed and created our website as well as upgrading all of our DreamStalker Films logos from my hand drawn designs to the professional ones we use today. He’s an incredibly talented artist and will be selling his work. Be sure to stop by the Probed: Signals table at T113. Probed: Signals is an AZ created webseries by Joel Cranson. Be sure to check it out, these are some really talented people, and they too will be selling DVDs (which will be one of my first purchases at this event). This will be our last post before the event, but be sure to continue to come back as we may be adding posts and pictures while at the Con. Hope to see you all there! Welcome back everyone! 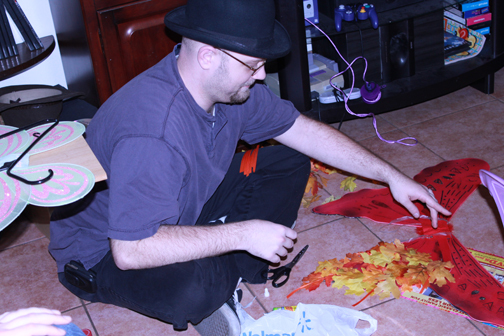 It’s been quite awhile since I’ve had any updates here so we could get everything prepared for the Phoenix 2010 Comicon May 27-30. Here are the DreamStalker Films’ details on the event. Firstly, DSF will have a table for the entire Comicon, located at the Phoenix Convention Center in the Vendor Room, table T120 (look for the DreamStalker Films banner). We’ll be showing the DreamStalker Films DVD Reel with all of our completed films, trailers, and special features on a small T.V. 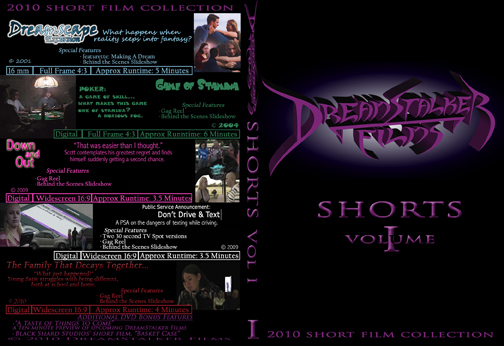 We will be selling copies of the DreamStalker Films Shorts Vol. 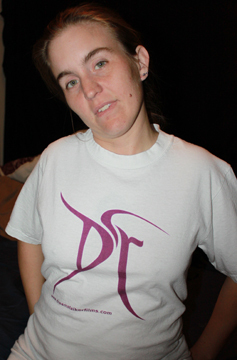 I DVD ($5 each), DSF logo T-Shirts ($20 each for S, M, L, XL, or XXL -Small pictured left as modeled by Shannon Griffith and the logo above), and DreamStalker Films logo car decals ($5 each, pictured below). Additionally, the first 10 people to buy any item will receive a free copy of the original Slayer Wars: Uber-Special Edition. Don’t worry if you’re not one of the ten, everyone else that buys anything will receive a ticket for our prize drawing that will be on the last day of the Comicon when we’ll be giving away another ten copies of Slayer Wars! While you’re there sign up for one (or all) of our e-mailing lists so you can keep up to date on everything DreamStalker Films is up to and volunteer to help out with upcoming projects! Last weekend we had two more nights of shooting on Slayer Wars 3 that went extremely well. We got more great footage for the Zombie Onslaught of the VSJ HQ Scene and it’s really coming together now. 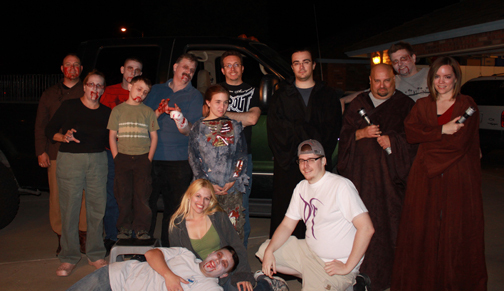 I’d like to thank everyone who came to be extras and help out this weekend (especially the whole Noel clan, Morgan, and Matt who made up our zombie cast this weekend and made it easy for me to fill up each shot with zombies). Our next shoot will be on Sunday, May 16th, 7PM. This will be a short shoot (I hope to wrap by 9) that will allow us to get the last shots we need with Jake, which are only a few but at least one is going to be rather difficult and is important to get right as it’s the whole reason I wrote the scene. So, any of our principle actors that can show I hope to see you there, and we’ll also need at least a few zombies, so anyone else that can come would be appreciated, whether they have played another role in the film yet or not. The shoot after that is planned for the morning of Saturday, June 5th, which we’ll be filming the scene that will be at the very end of the film. Tentatively I am thinking of also filming that evening in what would likely be the final night for the Zombie Onslaught scene. The screening of the film for the festival will be on Friday, May 28th, at 1:40pm. Be sure to come check it out. We’ll also be screening another version of the film all weekend long at the DreamStalker Films table (T120) where we will also be selling DVDs and T-Shirts.